The average supply chain has a digitization level of 43%, according to McKinsey Research – the lowest of any area they studied. 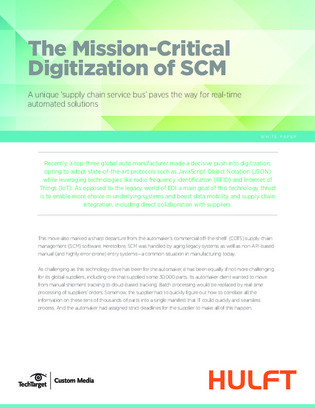 Organizations need a ‘universal decoder ring’ capable of quickly normalizing SCM data from wherever it originates, then moving it into consolidated databases, data lakes, and other repositories. Download this article to learn about a tool designed to take isolated groups of incompatible data and normalize it for SCM.